Selected Villas for rent near Namu (Koh Samui) - Contact us now! A meal at Namu takes diners on a culinary journey to explore unique Asian flavours. Serving up a mix of Japanese, Korean and Chinese cuisine, Namu’s innovative chef whips up dishes such as hamachi sashimi, teriyaki seared wagyu sirloin, crisp goose foie gras katafi and an intriguing-sounding marinated strawberry gratin and torched sabayon with almond ice cream. 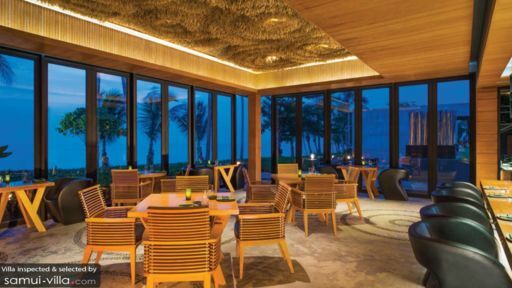 Apart from an extensive selection of unique Asian cuisine, the luxe ambience and picturesque surroundings makes dining at Namu a truly enjoyable experience.